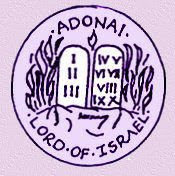 Streams of the River: O Adonai . . .
O ADONAI, Captain of the house of Israel, who didst appear to Moses in the flame of the burning bush, and gavest him the law on Sinai: Come and deliver us with thine outstretched arm.